I tend to think of myself as a novelist; long-winded rather than to the point. However, something, some urge I can't ignore, makes me want to write short stories. It is a beautiful form, I think, and it's good self-discipline to say what you need to say with the minimum of words. In a way, it's easy to write a novel - in one way, I mean, not every way - easy to let it all flow and mount up. The short story has to be concise (I know, I know, not all of them are, and there are rules, which I'll go into another time, as they give me a headache, in general) and easy to digest; it's the haiku to the novel's epic poem, the brush and dustpan to its vacuum cleaner, etc etc etc. 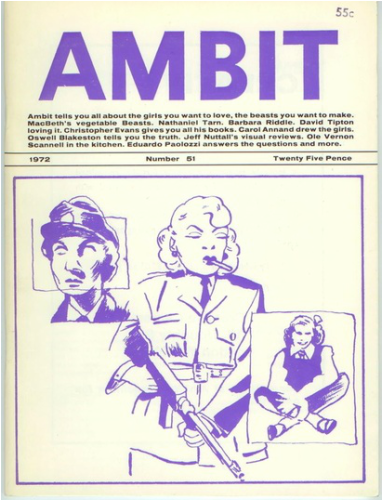 I've had quite a few published, by various small press magazines, the most notable and enduring of which has been Ambit magazine. I will post some of the published ones on this site, and also some that are unpublished - maybe they are unpublishable - and some works-in-progress. Click on the titles to be taken to the stories, or links to them.